The first time I crossed St. George's Channel from England into Ireland — aboard a ferry — I immediately noticed a shift in people's temperaments. While the English were crisply polite and helpful, the Irish seemed brusque, beleaguered and indirect yet poetic. I had the sense they didn't give a sh*te that I was visiting their country, and looked upon most tourists with bemused resignation. "Irish, are ya?" they'd ask, bored, convinced I was (like every other American) in search of my roots. Their tartness didn't bother me — possibly because I have Irish blood, possibly because I don't mind being left alone, and possibly I appreciate obliqueness. 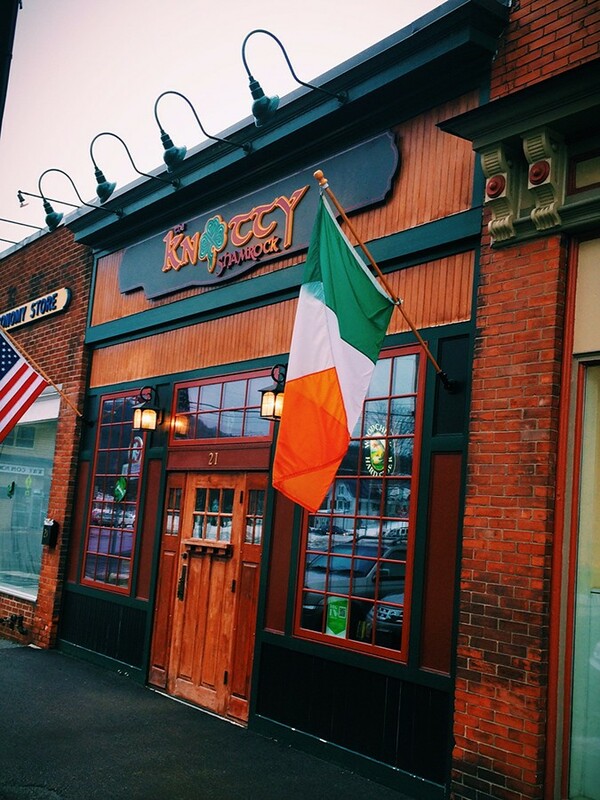 My experience with Northfield's Knotty Shamrock Irish Pub and Grill reminded me of all this. Since it opened more than two years ago — and I heard then pub owners John Lyon and Kevin Pecor had plans to brew their own beer — I've made little headway in writing about the place. I called a few times to find out more but never heard back. I waited a few months and called again. Then months flew by, and finally I made it to Northfield to check out the Shamrock in person. Judging from the late Friday afternoon throng at the bar, the Knotty Shamrock is a beloved locals' hangout. Both without and within it resembles a typical Irish-American pub: lots of dark wood, green accents and a billowing Irish flag next to the front door. Everything seems neat, though — fresher and better kept than some of the Irish watering holes in which I have passed hundreds of Guinness-soaked hours. Yet in Vermont fashion, the pub apparently has one of its own house-made beers on tap every Friday. 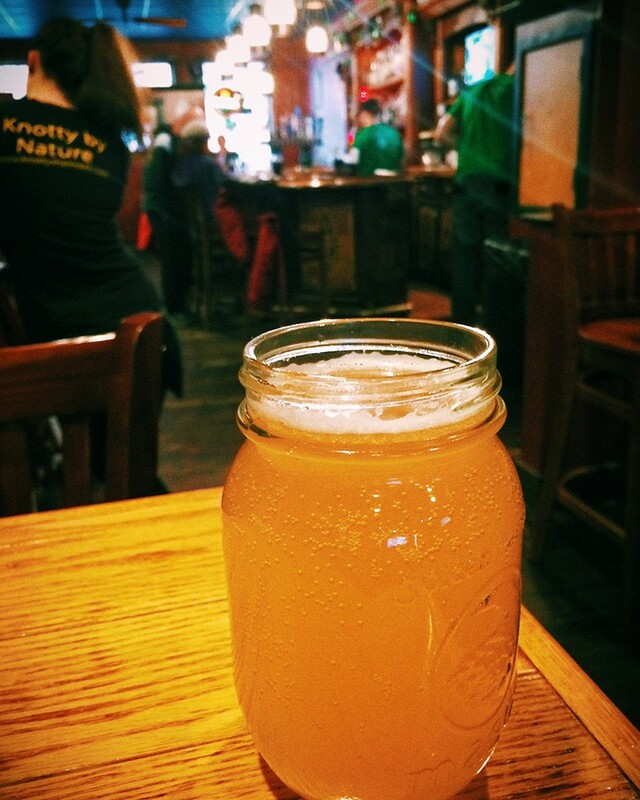 On the day I visited, that was Knotty Blonde, which the waitress told me "is an IPA." The beer that arrived in a Mason jar had the slight cloudiness and funky-spicy-lemony notes of a wheat beer and wasn't bitter at all. I told her as much. "Nope, it's an IPA," she insisted. She didn't know where exactly the pub brewed its beer, or when the brewery would be expanding its operation (I'd heard a rumor). These mysteries notwithstanding, the beer was tasty, and the menu, credited to NECI-trained chef Mason Alexander, offered up all manner of pub food — from wings to Irish nachos to chicken pot pie and burgers. 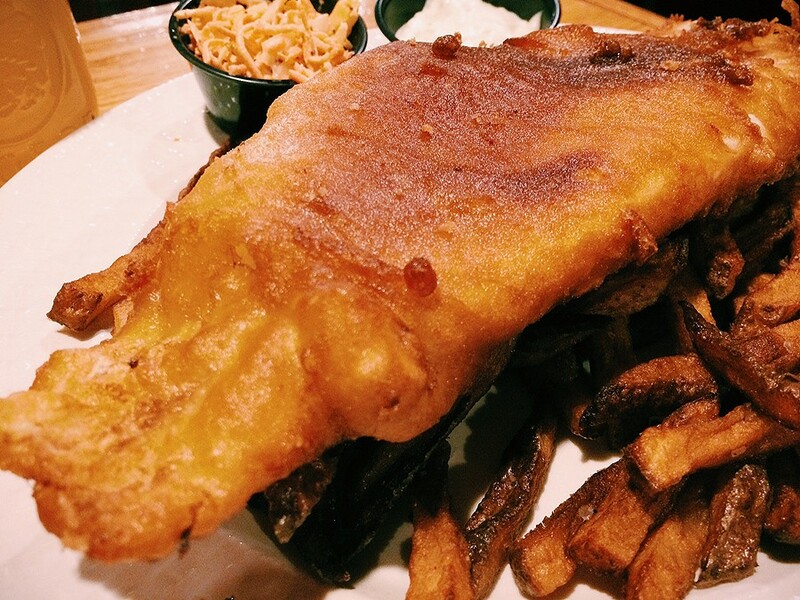 One item in particular was irresistible to me: Paine's Pale Ale Fish and Chips, a hunk of haddock slathered in beer batter before being deep-fried. It was a magnificent rendition of this British Isles staple. The ale lent snap and nutty flavor to the crisp, coppery boat of goodness, and the succulent white fish within was steamed to perfection. It eclipsed the sodden fries underneath, and is worth traveling to Northfield for over and over again. The Knotty Shamrock is the kind of place you want to linger — but with many miles to home, I hit the road, and later checked the pub's website for more info. It told me that Pecor (Lyon sold his shares to his partner) will soon start construction on a new brewery — Paine Mountain Brewing Co. — and taproom. And that Knotty Blonde is a Bavarian wheat. And apparently a milk stout (Sullivan's Stout or Paine Mountain Milk Stout, depending on the source) makes an occasional appearance, and it might rival the creamy stuff that pours across the pond. Maybe I'll just think of I-89 as the Celtic Sea, and make another crossing soon.